More than 50 people were killed and 200 injured when what appears to be a lone gunman opened fire from a perch high up in the Mandalay Bay Resort and Casino in Las Vegas Sunday night, police said. 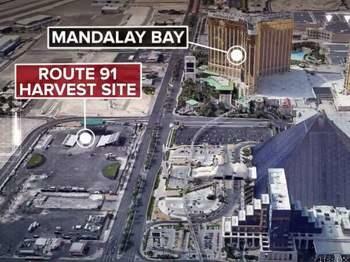 In the wake of the shooting, the Las Vegas Police Department said the suspected gunman, who was believed to be a local resident, was on 32nd floor of Mandalay Bay hotel. Police responded to the scene, engaged him and he is now dead. Law enforcement officials identified the suspect as 64-year-old Stephen Paddock. Authorities were looking for a companion of the shooter, Marilou Danley, as well as two vehicles, a Hyundai Tucson with Nevada license plate 114B40 and a Chrysler Pacifica Touring with Nevada license plate 79D401. My business name is Stephen Olgade, people says I’m a multi-skilled guy. I guess maybe because I’m an entertainer, blogger, web designer, SEO specialist, Content Writer, business coach and motivational speaker. But what do i have to say about myself? My contents, personality and services will say and proof the person i am to you. Follow our signals right now & make up to 270% per day.